This is perhaps the most important product introduction for musicians and the rest of the civilized world since the iPod and iPad. 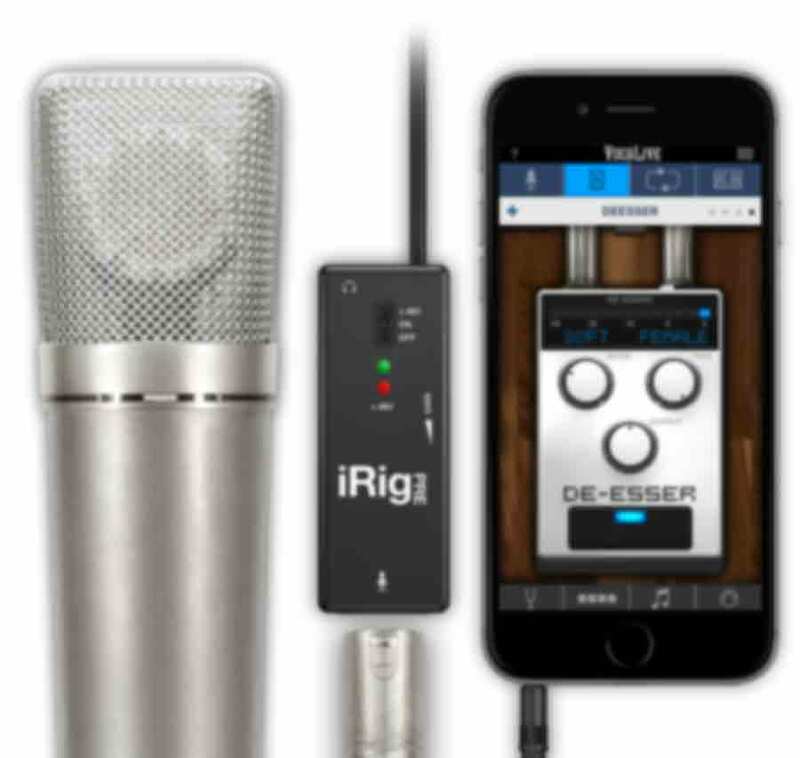 Now, thanks to the iRig Pre, you can hook your favorite microphone to your iOS device and join the mobile music revolution. Create music any time, anywhere with your own high quality microphones on your iPhone, iPod touch or iPad. So now if you want to record that special riff using your own ribbon microphone and mix it on your iPhone, you can. Simply plug the iRig Pre into the headphone jack of your iOS device, activate phantom power if necessary, launch your recording software and wail away. Hey, is that a Preamp in your pocket? Why yes, as a matter of fact it is! The iRig PRE sports an ultra-compact design so it fits pretty much anywhere. Just slightly larger than a 9 volt battery, you'll be amazed at how quickly you'll misplace your iRig PRE. But don't let the small size fool you. iRig Pre is a professional sounding mic preamp that will dazzle you and your friends. iThe iRig Pre has a 48v Phantom Power feature that lets you use your favorite condenser microphone with your iOS device. 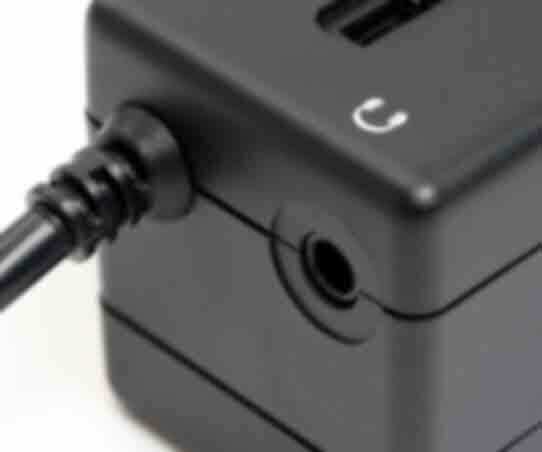 But don't worry… the phantom doesn't eat your device battery, it takes a standard 9v. No longer are you shackled by the chains of passive microphones for your mobile recordings. Now inject the shocking awe-inspiring power and clarity of the ever popular Condenser microphone into the lifeless muddy world of "a.m. radio" sounding recordings. You'll be the hero of the entire civilized recording world when you unleash the beast onto unsuspecting virgin ears, now thanks to the technological marvel that will become known to the rest of the world as iRig Pre, but you saw it here first. Oh, and you can plug a SM58 into it and sound like your fabulous normal self as well. Cool. The iRig Mic Pre features a 3.5mm headphone out that allows you to monitor the processed sound… however you sound. So now you can finally tell if you're "Idol" material. Unlike some other mic cable companies, we provide you with an astonishing 40cm (that's like 15.75") of space to place your device. So if you want to Velcro your iRig Pre to your mic stand and use the iKlip Mini to hold your iPhone, you can. And with total peace of mind. Rest assured, you're secured. However, if you Velcro it to the singer's pants, you're on your own. Sorry, that voids the warranty. 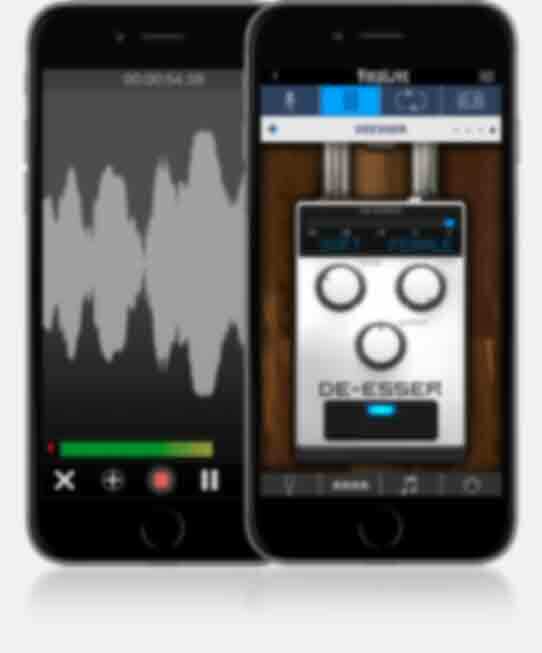 In addition, you can download from the App Store two free apps to get started recording and "effectualizing" your voice: iRig Recorder FREE, a simple-to-use waveform recorder and editor, and VocaLive FREE, our premium live vocal effects processor. iRig PRE is fully compatible with Android devices, so now you can use your high quality studio and stage mics to record fabulous audio on your tablet or phone. And with iRig Recorder FREE for Android you can capture your musical ideas, performances, rehearsals, etc., with pristine audio quality. Simply plug your iRig PRE into your headphone/input jack on your device, launch your favorite recording, vocal or playing app, and hit record. Now you can finally get studio quality audio on your Android device. - iRig Recorder FREE , an easy-to-use voice recording/editing app. - VocaLive FREE , a multi-effects processing app for singers. iRig™ PRE is a trademark property of IK Multimedia Production Srl. All other product names and images, trademarks and artists names are the property of their respective owners, which are in no way associated or affiliated with IK Multimedia. iPhone®, iPod touch®, iPad®, Mac and the Mac logo are trademarks of Apple Computer, Inc., registered in the U.S. and other countries. App Store is a service mark of Apple Inc. Android is a trademark of Google Inc.